WINNER OF THE 2016 FT & McKINSEY BUSINESS BOOK OF THE YEAR AWARD, this is the biography of one of the titans of financial history over the last fifty years. 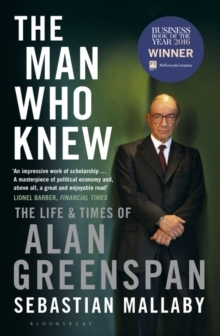 Born in 1926, Alan Greenspan was raised in Manhattan by a single mother and immigrant grandparents during the Great Depression but by quiet force of intellect, rose to become a global financial `maestro'. Appointed by Ronald Reagan to Chairman of the Federal Reserve, a post he held for eighteen years, he presided over an unprecedented period of stability and low inflation, was revered by economists, adored by investors and consulted by leaders from Beijing to Frankfurt. 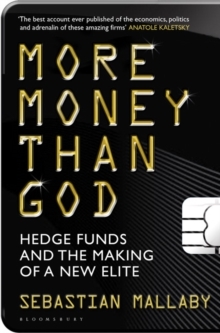 His great success was to prove the very idea he, an advocate of the Gold standard, doubted: that the discretionary judgements of a money-printing central bank could stabilise an economy. He resigned in 2006, having overseen tumultuous changes in the world's most powerful economy. Yet when the great crash happened only two years later many blamed him, even though he had warned early on of irrational exuberance in the market place. 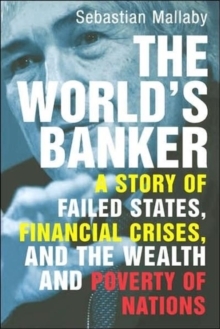 Sebastian Mallaby brilliantly shows the subtlety and complexity of Alan Greenspan's legacy. Full of beautifully rendered high-octane political infighting, hard hitting dialogue and stories, The Man Who Knew is superbly researched, enormously gripping and the story of the making of modern finance.